Fusion is usually indicated when a disc has worn out. Discs can wear out for a number of reasons, the most common being just ageing and degeneration, similar to the way hips and knees wear out over time. Sometimes trauma or previous surgery can accelerate the process. A degenerate disc can be seen on MRI scans. Usually the bad disc causes back pain. Sometimes the vertebra can go out of alignment as well and compress nerves in the lumbar spine causing leg pain, numbness or weakness. 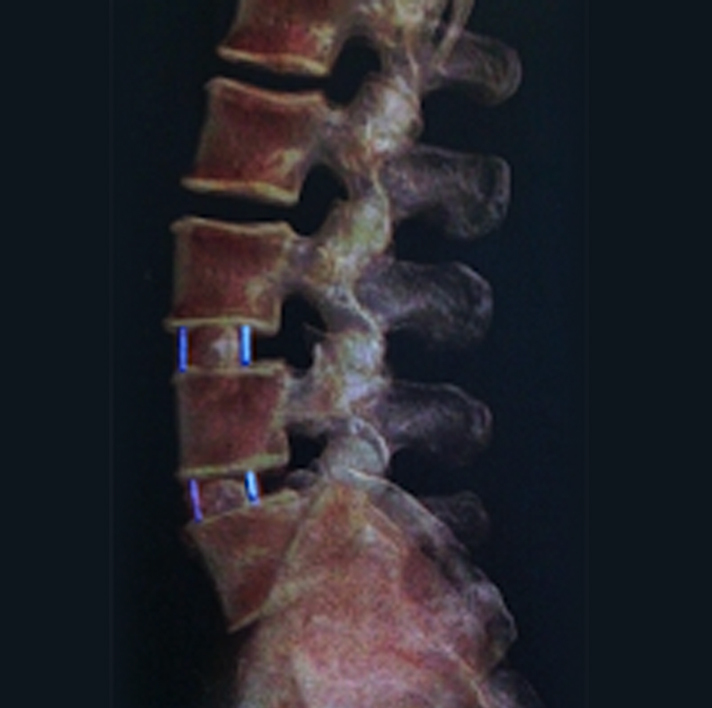 The idea of fusing the disc is first to correct the alignment of the vertebra and take pressure off the nerves, second to get rid of the painful disc itself and third to create long term stability of the spinal segment after solid bony fusion takes place. Bony fusion is similar to the healing of a fracture and takes 6 to 12 months to achieve maximum strength. Sometimes screws are placed into the vertebra from the back as well to give extra stability if needed so that fusion can take place. You may need to wear a back brace for a few weeks after the surgery as well. MIS fusions and decompression procedures (such as discectomy and laminectomy) are performed using many different approaches. The most commonly used technique involves using a tubular retractor, which can access the spine for anterior, lateral and posterior approaches. During the procedure, a small incision is made and the tubular retractor is inserted through the skin and soft tissues down to the spinal column. This creates a tunnel to the small area where the problem exists in the spine. The tubular retractor holds the muscles open (rather than cutting them) and is kept in place throughout the procedure. The surgeon accesses the spine using small instruments that fit through the centre of the tubular retractor. Any bone or disk material that is removed exits through the retractor, and any devices necessary for fusion — such as screws or rods — are inserted all through the small incision allowing for less pain post-operatively, and faster recovery times. Our surgeons have access to latest in CT-assisted navigation and robotics technologies allowing for precision in each surgery. Your surgeon will discuss your condition with you, what treatments are appropriate and the associated risks so that you can make an informed choice.